Dear Harry Styles, Please Stop Rubbing Sheep Placenta On Your Face. Thanks. One Direction star Harry Styles apparently favors a nearly $500 sheep placenta facial to keep himself refreshed after long tours. His dermatologist, Louise Deschamps, told Grazia Magazine that Styles loves the treatment, which involves mixing afterbirth stem cells from New Zealand sheep with gold and slathering it on one's face. "He gets clogged up," Deschamps said. "Putting on makeup all the time and traveling a lot plays havoc with his skin." 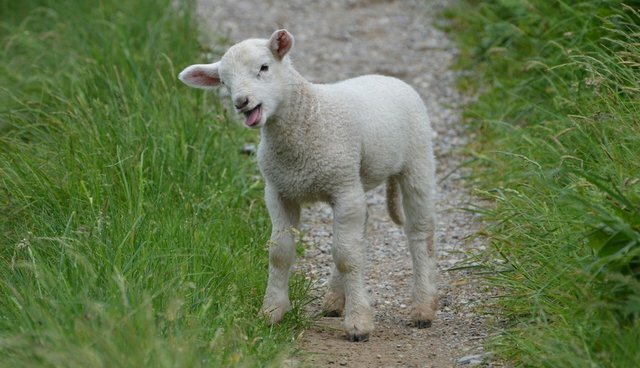 Sheep placentas, which are also used in some high-end face creams, are often touted as cruelty-free - and they are in some sense, because no animals were directly harmed when harvesting them. But they are byproducts of the meat and wool industries, which have their share of problems; even wool sheep can face brutal abuse. This might be a bit of a gray area when it comes to animal welfare - but the ick factor is a certainty.